The Division of Student Affairs (DSA) is transitioning from Windows 7 to Windows 10 as its primary supported business operating system platform for workstations, laptops, and tablets. This project also includes additional “User Experience” improvements pertaining to Desktop Software, Remote Access, and Security. DSA’s primarily supported desktop operating system is currently Microsoft Windows 7. Windows 8 was skipped due to significant interface changes and low overall benefit to DSA customers over Windows 7. Windows 10 was chosen as the next primary desktop operating system because its interface is more similar to Windows 7 and due to it’s expected long lifecycle, meaning we can use it for many years. Other updated software will be deployed for compatibility and licensing such as Microsoft Office 2016 and Adobe Acrobat DC. Windows 10 deployments are tentatively planned to begin in Summer 2018. DoIT will also make use of departmental workstation replacements as a natural time to upgrade and avoid disruption wherever possible. Check the Schedule tab below for the latest updates. 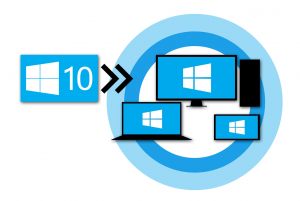 Windows 10 will be deployed to your workstation remotely after business hours. Windows 10 has an updated user interface, but many things should look familiar. Updated software programs/applications will be deployed alongside Windows 10, such as Office 2016 and Acrobat DC. Trainings for Windows 10 and other software are available to individuals online and departments through TAMU HR. 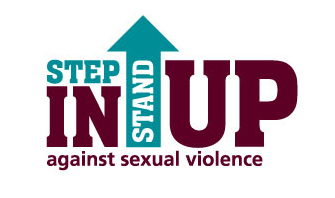 Users should review the DSA User Steps – A Quick Start Guide PDF found below on the website. 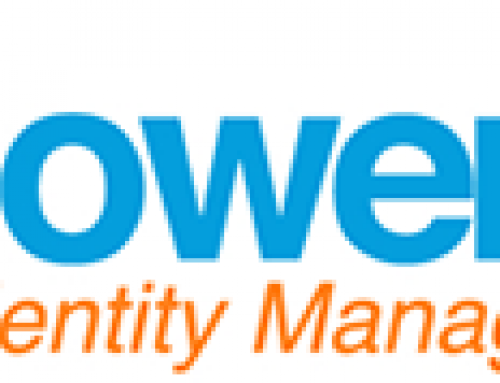 It provides an overview and covers what all users will have to do in preparation for their deployment. If you use Google Chrome or Mozilla Firefox web browsers, any Bookmarks will need to be manually saved or synced before the deployment process begins. Check the Guide for details. If you store files on your local workstation’s hard drive (e.g. C:\ or D:\UsersLocal) those file must be copied elsewhere before the deployment process begins. Check the Guide for details. IMPORTANT: Any Chrome/Firefox Bookmarks or locally stored files will be permanently lost during the deployment process and cannot be recovered by IT. Please contact DoIT if you have any questions regarding the Guide or FAQs. Check the FAQs tab below for details. Windows 7 and 8 will no longer be supported in DSA after August 31, 2019. Only Windows 10 Enterprise will be supported moving forward. If you believe you need an exception granted for technical reasons, please contact the DoIT Service Desk. 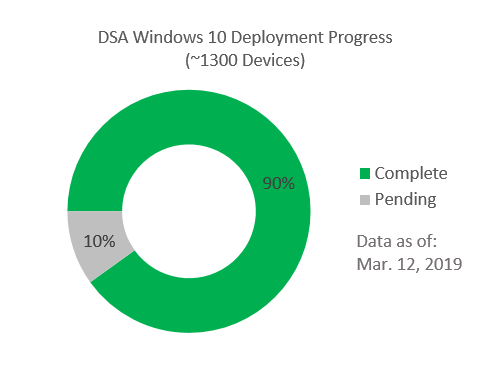 Windows 10 will be deployed to DSA mobile devices (laptops and tablets) after all workstations have been completed. DoIT will send out multiple emails to each department discussing the deployment as it approaches. DoIT will post updated information to the http://doit.tamu.edu/windows10 website. Your IT Liaison can help explain the Windows 10 transition process. After the transition, you will contact DoIT Service Desk for help and support. All DSA users should read this PDF document ahead of their Windows 10 deployment group date. It covers what users will have to do to prepare ahead of their deployment date as well as afterwards. It also covers what the deployment process will look like. Is training available for Windows 10 or other new software? Note: To schedule a training for your department, use the Customized Services Request Form. Internet Explorer Favorites are part of your user profile and are safe. Chrome Bookmarks and Firefox Bookmarks are not part of your user profile and will be lost during the deployment process and cannot be recovered by IT. To keep these Bookmarks, you must sign in with their respective accounts and sync them. Files stored on your Desktop, in your Documents/MyDocuments and MyShare folders, or department network shares are safe. Files stored locally on the C or D drives, or in your Downloads, Music and Pictures folders, will be lost during the deployment process and cannot be recovered by IT. Users can move locally stored files to a temporary network share. After your Windows 10 deployment is complete you must move your files back to your workstation as files on the temporary network share will be deleted weekly. Details on using the temporary network share is provided in the Quick Start Guide above. What software programs will I have after Windows 10 is deployed and what if I need additional software? Generally speaking, you should have the same business related software after your workstation is re-imaged with Windows 10. Some software may be upgraded to newer versions to be compatible with Windows 10. In a few cases, some software may not be installed if it is not compatible OR if the software version originally purchased is outdated (end-of-life). Other department or role specific business software should be installed as part of the Windows 10 deployment process. If you find that business software is missing after Windows 10 is deployed, please contact the DoIT Service Desk. Will I still have all of my Outlook Email? Your email and calendar is stored on the campus Exchange server. However, your signature will need to be recreated from the provided signature templates. If for some reason you need to save your email signature(s) versus recreate them, please contact the DoIT Service Desk. After Windows 10 is deployed to your workstation, you will have to go through the Outlook 2016 setup wizard one time. You still login with your TAMU NetID credentials as before. The Windows 10 C-drive icon has a padlock now, what does that mean? To increase security of DSA data, DoIT has implemented Microsoft BitLocker Drive Encryption in conjunction with the Trusted Platform Module (TPM), a special security chip in the computer. The “padlock” indicates that BitLocker has been enabled on your local hard drive, which is a good thing. This new security feature does not change how DSA users access or use files but does help protect user data and ensure that a computer has not been tampered with while the system was offline. It also helps address the threats of data theft or exposure from lost, stolen, or inappropriately decommissioned computers. Below is the departmental mobile device deployment schedule as of March 18, 2019. Mobile devices include Windows based laptops and tablets. April 19 – DoIT will email department Liaisons with mobile device completion status. Below is the departmental workstation deployment schedule as of August 3, 2018. Departments and their DoIT IT Liaisons should discuss any potential scheduling conflicts or preferences. Note: The DoIT Service Desk will contact individuals regarding their participation in the pilot group. DoIT historically experiences higher volumes of requests from DSA departments at the beginning of each semester. To maintain the highest customer service level possible, DoIT will focus on new semester related requests over Windows 10 deployments. Deployments will continue as capacity allows during the blackout window.